Ald. 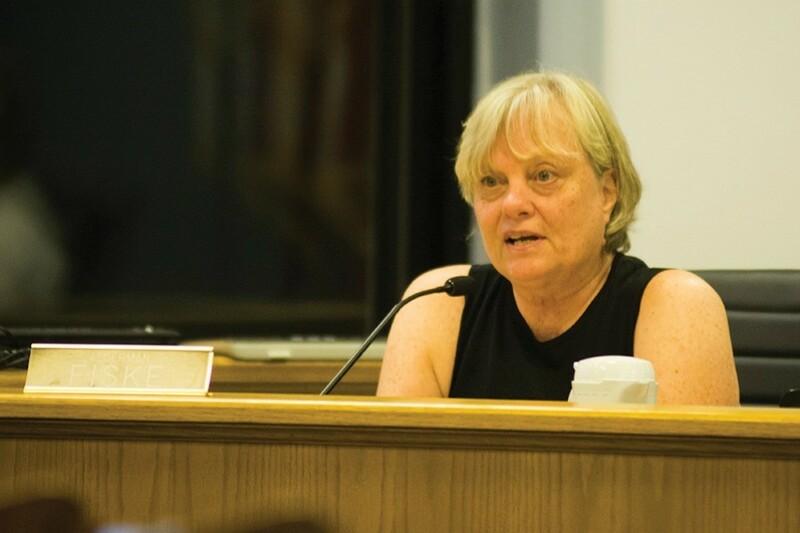 Judy Fiske (1st) said at Monday’s City Council meeting that community input toward the preliminary designs for Fountain Square renovations are well-represented in the city’s plan. Aldermen voted to move forward on the plan slated for completion at the end of 2018. Aldermen Monday approved initial plans to renovate Evanston’s Fountain Square at an estimated cost of nearly $5 million and a completion deadline slated for the end of 2018. City Council voted unanimously to approve the project’s parameters and direct city staff to open an application for a firm to design the new plaza and likely renovate surrounding streets. The bulk of the cost, $3 million, would fund construction of the fountain area while $1.7 million would go toward street work. The project should be complete by the end of 2018 because funding will likely come from a federal bond fund that expires on that date, said Dave Stoneback, director of the city’s new Public Works Agency. The construction project — slated to start in 2017 — would fully renovate the deteriorating fountain and plaza, which includes Sherman Avenue between Church and Davis streets as well as the surrounding landscape areas. The first year of construction would be reserved for construction of the plaza and second year dedicated to street construction if funding is available, Stoneback said. The city is considering installing a new fountain, a Veteran’s Memorial and planting a permanent holiday tree, he said. Renovations on the street level may include replacing the century-old water main, widen sidewalks on the east side of the street and resurface the road between Church and Davis. Last year the city hired an initial consulting firm to work with the public to begin redesigning the deteriorating square. Four plans presented to the community in July ranged in cost from $2.1 million to about $5.5 million and eliminated up to 45 parking spaces. The city found residents did not favor a plan that eliminated parking spaces, Stoneback said. However, he said members of the community did support a plaza with a fountain with a flexible design that could be used year-round. Fiske, who helped facilitate the community meeting in July, said the community also largely vetoed an idea for a restroom in the square. Ald. Donald Wilson (4th) added that residents mostly agreed that they wanted to preserve some sort of water feature, such as a fountain, in the square. Wilson said the feedback from the community could ultimately save the city money in designing the final renovations. After the city hires a firm, the consultants would develop a concrete design by the end of spring 2016 with continued input from the public.